Lahmann Electrics is an electrical contractor which offers full scope electrical of services to clients throughout London .The business, which has its head office in North London, was established in 2009 to provide clients with a high quality service with very competitive pricing.We have smart, fully qualified to the highest national standard staff , who are friendly and knowledgeable. Our mechanical and electrical work is evenly spread over the domestic and commercial sectors. As such all our electricians, engineers and electrical inspectors have an in depth knowledge of all the work we undertake. With a hard working, reliable and highly motivated team, The Electric Company has an expanding workforce, qualified to the highest standards within the electrical contracting sector. 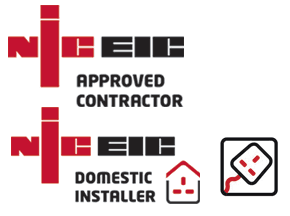 All our staff are fully insured for public liability, professional indemnity, are members of NICEIC, Government approved Trustmark.